The recent irruption of Vox in the Andalusian Parliament and its initial demands in the fight against gender violence to support the investiture of the PP candidate, have made all the alarms jump. And not without reason, beyond that finally the agreement reached between the two formations has not picked up a change of rules and public policies in this area by the Junta de Andalucía as claimed by Vox. Recall that gender violence is understood to be exercised against women and girls by the mere fact of being so. It is, therefore, a violence suffered by women because of their condition, different from the so-called domestic or intrafamilial violence that men may suffer in that environment. There is an international consensus to differentiate between one and the other in that only the former is considered an extreme manifestation of inequality between men and women. In this regard, we can cite the Agreement of May 11, 2011 of the Council of Europe, ambitious international treaty on prevention and fight against violence against women and domestic violence (better known as the Istanbul Convention) that was ratified by Spain in 2014 and that, therefore, is part of our legal system. Its purpose is to harmonize the regulations on the fight against gender violence in different European countries and incorporate the advances made from the social sciences for an integral treatment of the problem. Some of the novelties introduced by this Convention (the definition of various types of gender violence, physical, psychological, economic and sexual, the extension of the concept of victim of gender violence to children or people in situations of dependency of the woman who suffers and who live in a violent environment and mothers whose children have been murdered) have already been incorporated into our legal system. This has been the case in Andalusia in particular through Law 7/2018, of July 30, which modifies Law 13/2007, of November 26, on prevention measures and comprehensive protection against gender violence. In Spain it does not seem that until now this type of measures - all, we insist, already collected in international norms and that adapt to the advances of the studies more and more numerous in the matter - have provoked a lot of partisan controversy. Quite the opposite: just a year and a half ago, a State Pact against gender violence was approved in the national parliament (some of whose measures have been started by Royal Decree-law) and we already know that in Spain it is easy to reach this type of agreements. There is no doubt that the fight against gender violence is transversal in a country that is an international benchmark in many of the practices to combat it. On the other hand, the attitudes of Spaniards in this area are coherent with those of their political representatives. According to the CIS barometer of June 2017 on the social perception of sexual violence, citizens are clear that the inequalities between men and women persist: 15, 6% consider that they are very large and 53.1% are quite large compared to 22.8% of respondents who consider that they are small and 6% who see them as almost nonexistent. It is also true that the majority of respondents (59.2%) consider that inequalities are lower than 10 years ago. The attitude towards what is socially tolerable in relations between men and women has also hardened. This is evident from the reactions to the affirmations of the type of women who have been able to provoke a sexual assault with their behavior, their clothing or other circumstances: the majority of respondents disagreed strongly. We are already very far, fortunately, from the times when it was considered that wearing a miniskirt was provoking. Something similar can be said about tolerance in relation to comments or suggestions of an unwanted sexual nature (unacceptable for 62% if they understand that they should not necessarily be punished by law) or unwanted touching (unacceptable for more than 67). % and in this case if they are considered to be legally sanctioned). The rest of this barometer offers similar results in relation to behaviors that not so long ago alarmed, except for women who suffered them. In short, we have progressed as a society in the sense that we are more aware that women should not only be equal to men, but that they should be entitled to the same degree of freedom and confidence that they will not be sexually assaulted. And for this 93% of respondents think that it is essential to educate them and them in sexual consent. Of course, there are many things to do and every victim of gender violence is not only a human tragedy but also a failure to the extent that a death is the most obvious indicator that something has failed in our prevention system. But we must also be aware that we are among the best countries in the world to be born a woman (according to the analysts of the Institute for Women, Peace and Security of the American University of Georgetown who take into account several indicators, among them those of gender violence ) so that we are only behind Iceland, Norway, Switzerland and Slovenia. Taking these results into account, it may be thought that in general our policies on equality - and not only on gender violence - are working reasonably well, although, we insist, there is still a long way to go for real equality between men and women. In this sense, the massive demonstrations of March 8 of last year highlighted both the cross-cutting nature of this claim and the will to continue advancing in this effective equality that requires, among other things, a more equitable distribution of domestic tasks and of care for children and the elderly that continues to fall disproportionately on many women who, in addition, also work outside their homes. For this reason, the emergence in the political sphere of proposals that could put at risk what has been achieved in the fight for equality and particularly in gender violence is surprising. Are there really many voters behind these proposals? 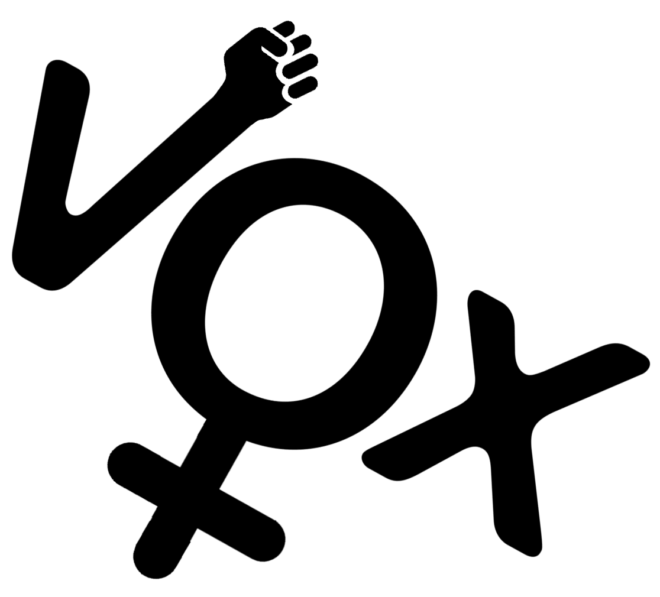 To understand it, perhaps it is convenient to analyze if there is any reason or any specific concern - beyond the general discontent with the system, the resistance to changes, the feeling of not telling or the nostalgia for times past that those who vote far-right parties- that justifies that Vox puts on the table the revision of gender violence policies. Going back to the CIS survey, we can find a first answer: although 61% of Spaniards consider that sexual assaults are reported rarely, there are 27% of those interviewed who think that there are sometimes false allegations . As is well known, the data do not support this perception, given that the number of convictions for false accusations in this area is negligible, although it must also be borne in mind that convictions are not always easy to obtain in a complex family environment, with a high emotional component, with minors involved and with a very guaranteed criminal procedure such as ours. On the other hand, the fact that a complaint is filed for gender violence does not mean that the complaint is false; simply what happens is there was not enough proof of the crime or that the denounced conduct is not criminalized. Still, since the difference between reality and perception seems too high, can there be anything else? Can the existence of a complaint imply certain social or even procedural benefits in traumatic divorce proceedings? Is it possible that too strict protocols of action are being carried out by the judicial police authority or agents when arresting those accused of gender violence? Something of that may be, hence the importance of extreme rigor and deontology of the professionals involved in these cases. As for the arrests, the wording of art. 492 of the Law of Criminal Procedure leaves the agent's discretion to arrest the accused if there are reasonable grounds to believe that he has committed a crime, so it is possible that some agents prefer to heal in health and act as a preventive in a very sensitive for public opinion. In any case, it is important to remember that those detained can always request a writ of habeas corpus. Even so, it may be reasonable to review these procedures and protocols to avoid unnecessary detentions but without forgetting that in the end it will always be necessary to weigh the circumstances of the specific case and, above all, the risk to the possible victim, since the protected legal right is much greater. this case (his life) in front of the alleged aggressor (deprivation of liberty for a short time). We can also ask if it is true that the principle of presumption of innocence is allowed to be violated in the norms on gender violence that can justify the fear of a man to be considered guilty simply because he is guilty of a woman's complaint. The answer is negative, given that Law 1/2004 of 28 December on Comprehensive Protection against Gender Violence does not alter the general regime of the presumption of innocence in the criminal sphere, although it does reflect a legal asymmetry between the punishment of certain crimes depending on whether they are committed by a man or a woman (for example, in coercion, threats or insults), the highest penalty being if the man commits them is a man. This asymmetry was declared constitutional at the time by the Constitutional Court not without an important technical debate that still continues. Finally, it may be convenient to evaluate -as it should always be done in relation to any public policy- the institutional framework around these policies. Public institutions or associations that use public money to fight gender violence can not be left out of the requirement of adequate transparency and accountability that should never be feared when it works properly. In short, just being rigorous with the defects that our policies of gender violence may have, we will avoid the demagogy of flagging issues in which there is a huge consensus in Spanish society. We owe it to the victims. Elisa de la Nuez is a lawyer of the State, co-editor of Is there a right? and member of the editorial board of EL MUNDO.